We took some old pasta jars and used Goo Off to get the labels off. Then we cut up an old paper grocery bag to printer paper size (8.5 in x 11 in) and printed the Thanksgiving leaf printables onto the paper bag. You can also purchase clean mason jars and use any kind of printer paper. 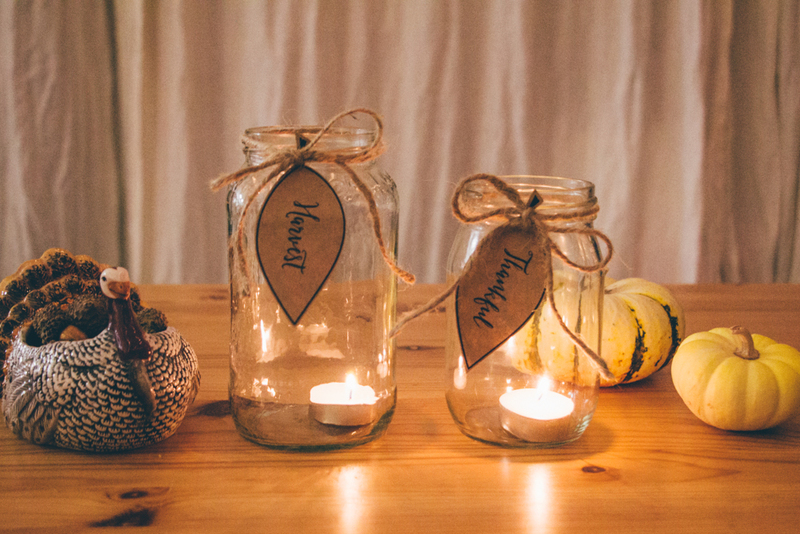 Just cut out the leaves, tie them onto the mason jar with the jute twine, drop in the tea candles and voilà you’re done! You can download the free leaf printable by Ella Claire from here.